Stroke can be one of the most devastating of all neurological diseases. It is no respecter of biological or geographical boundaries. It can occur in all age groups, in both sexes, and in all races in every country. It can strike babies still in the womb. Every year, 15 million people worldwide suffer a stroke. Nearly six million die and another five million are left permanently disabled. Indeed stroke is the second leading cause of disability, after dementia and it can leave sufferers with sometimes significant health problems inclding loss of vision and/or speech, paralysis and confusion. Stroke rates have been rising in both developed and developing countries in recent years and globally, stroke is now the second leading cause of death in people above the age of 60, and the fifth leading cause of death in people aged 15 to 59 years old (though, in reality, it is rare in people under the age of 40). A stroke occurs when blood circulation to the brain fails. Brain cells can die from decreased blood flow and the resulting lack of oxygen. Ischaemic strokes occur as a result of an obstruction within a blood vessel supplying blood to the brain. It accounts for 87% of all stroke cases. Haemorrhagic strokes occur when a weakened blood vessel ruptures. Two types of weakened blood vessels usually cause haemorrhagic stroke: aneurysms and arteriovenous malformations (AVMs). But the most common cause of haemorrhagic stroke is uncontrolled hypertension (high blood pressure). TIA or transient ischaemic attack is caused by a temporary clot. These “mini strokes”, are warning signs that should be taken very seriously. 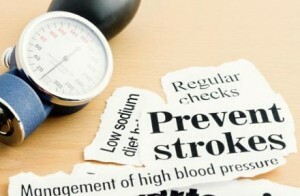 Often a stroke is a secondary problem to other diseases such as diabetes and heart disease. While there are some things you can’t change or predict, such as a genetic predisposition, stroke prevention, like heart disease prevention, is largely a matter of common sense. The good news is you can cut your chance of having a secondary stroke by as much as half by paying attention to modifiable risk factors linked to lifestyle and diet. A diet rich in fruit and vegetables can considerably reduce your risk of stroke. Vegetables provide the greatest protection, perhaps because of their high fibre content (known to lower blood pressure). Fruit and vegetables also contain carotenoids and vitamin C as well as other beneficial substances such as tannins, phytic acid, flavonoids, phytoestrogens, all of which have a cholesterol-lowering effect. It’s never too early to start exercising. Sedentary individuals have almost double the risk of stroke of active ones. The good news is that you don’t have to go into exercise frenzy. There is evidence to suggest that high levels of activity are no more protective than medium levels of activity. The key is consistency. Developing exercise habits early in life provides protection against stroke later on irrespective of other “risk” factors such as social class, smoking and alcohol consumption, family history of stroke, hypertension or diet. Continued exercise later in life helps reduce the risk still further. Regular exercise can also speed recovery from stroke. Eat whole grains. Women who eat more than one whole grain food per day can cut their risk of ischaemic stroke by 35% over those who eat no whole grains. Cigarette smoking can aid the build-up of fatty substances in the carotid artery, the main neck artery supplying blood to the brain. Blockage of this artery is the leading cause of ischaemic stroke. Nicotine also raises blood pressure and cigarette smoke makes your blood thicker and more likely to clot. By quitting, at any age, you also reduce your risk of lung disease, heart disease, and a number of cancers including lung cancer. Increase antioxidants. Stroke victims with a high level of vitamin A in the blood recover more quickly and are less likely to die than patients with lower levels. Supplementing with vitamins such as A, C and E may help reduce oxidative damage and in elderly people higher levels of vitamin C can protect against stroke. The flavonoids found in fruit, vegetables, wine and tea are potent antioxidants and have an anti-platelet effect. Although platelet-inhibiting factors in flavonoids have a more direct effect on ischaemic stroke it has also been shown to reduce the risk of haemorrhagic stroke as well. Eating tomatoes and tomato-based foods – which are high in the antioxidant lycopene – is associated with a lower risk of stroke in men. Take a multivitamin With levels of nutrients in our food going down at a rapid rate, a daily multivitamin is a good insurance plan and there is evidence to show it’s a habit that can lower the death rate from stroke in those whose diets are nutrient poor. See our article on how to choose the best quality supplements here. B vitamins – specifically folic acid, B6 and B12 – help to break down a substance called homocysteine, which in excess can damage blood vessel walls and lays the foundation for cholesterol deposits. Homocysteine levels go up when people consume too much methionine, particularly found in meat, so in addition to supplementation consider getting your protein from sources other than meat. Recent evidence suggests that vitamin B supplements reduced the risk of stroke by 7%, though it does not appear to reduce the death rate from stroke. Pay attention to high blood pressure and heart disorders. Heart disorders including coronary artery disease, valve defects, irregular heartbeat, and enlargement of one of the heart’s chambers can result in blood clots that may break loose and block vessels in or leading to the brain. The most common cause of high blood pressure, caused by the build-up of fatty deposits in the arteries, is atherosclerosis. Reducing your risk of atherosclerosis will also reduce your risk of stroke. Things that that work include maintaining proper weight, reducing stress, dietary adjustments, lowering salt intake and regular exercise and relaxation. And to diabetes can causes destructive changes in the blood vessels throughout the body, including the brain. Also, if blood glucose levels are high at the time of a stroke, then brain damage is usually more severe and extensive than when blood glucose is well controlled. Treating diabetes can delay the onset of complications that increase the risk of stroke. Watch your weight. Obesity increases the risk of stroke as much as twofold. Excess weight strains the entire circulatory system and predisposes people to have other stroke risk factors, such as high blood pressure, diabetes, high cholesterol, and obstructive sleep apnoea (temporary cessation of breathing). Do what you can to maintain a sensible weight. More healthy fats. There are lots of ways to get good fats into your diet. Eating walnuts – as part of a Mediterranean diet – has recently been shown to help reduce the risk of stroke, though older studies show this too. Daily consumption of as little as 25 to 57g (approximately 1-2 oz) of fish high in omega-3 fatty acids, an intake equivalent to around 1 fish meal a week is protective, with greater benefit from higher consumption. Sources of plant-derived omega-3 fatty acids such as flaxseed, flaxseed oil, walnuts, canola oil, and soybean oil are also protective. Se more on healthy fats here. Brush your teeth. Good evidence exists to link mouth health and heart health. Now researchers have found evidence that periodontitis is associated with increased risk of stroke too. Good oral health means regular brushing, flossing and check-ups to keep bacteria that affect both gums and the cardiovascular system at bay. Reduce alcohol intake. Heavy drinking can cause heart rhythm disturbances and raise blood pressure, thereby increasing the likelihood of a stroke. For haemorrhagic stroke, any amount of drinking appears to increase risk by two- to four-fold. Moderate alcohol consumption, however, appears to reduce the risk of ischaemic stroke by inhibiting blood clotting and increasing HDL cholesterol. Garlic thins the blood and can significantly increase clotting time. In one study just 800 mg of garlic powder per day over 4 weeks led to a significant reduction in platelet aggregation and circulating platelet aggregates. Incorporating a fresh clove of garlic daily in your diet is a good way to reduce your risk of blood clots. If this is not possible use a high quality garlic powder supplement but try to avoid oil extracts which appear to be less effective. Ginkgo biloba has a blood thinning action and animal studies suggest it may be a useful preventative. Human trials have shown more variable results. One small human study found that a single 600 mg oral dose of ginkgo given to healthy male volunteers significantly reduced clotting. 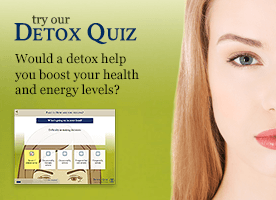 Lower doses 120 –240 mg daily may be just as effective. Ginger has anti-clotting properties but studies show that higher doses are generally required than for garlic or ginkgo. For instance, a single dose of 2 g of dried ginger had no effect on platelet function in 8 healthy male volunteers. But 5 g per day (about half a small thumb-sized piece) of raw ginger over seven days caused a 37% inhibition of thromboxane (a blood clotting agent) production in healthy women. In another study the addition of 5 g of dried ginger a day to a high fat diet was significantly better than placebo in reducing platelet aggregation to normal levels. An easy way to get more ginger into your daily diet is to add it to fresh fruits and vegetable juices and soups, as well as other dishes.